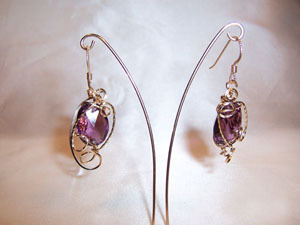 Antique chandelier crystal earrings created from amethyst colored lead crystal. These are oval in shape and sculpted in 14kt rolled gold. The ear wires are 14 kt gold filled. Each measures 1.75'x.5".